Obama and Netanyahu will meet in an unannounced meeting, the London Telegraph reported Sunday. There has been no confirmation. Concerning a meeting in the near future, he issued a “no comment” response. The reported meeting is to take place as 25 countries deploy warplanes and warships in the Persian Gulf (Strait of Hormuz) in annual maneuvers, in the largest exercise ever. If a Netanyahu-Obama meeting takes place, it could be a saving political grace for both political leaders. A direct discussion presumably would shelve the public differences between Israel and the United States for the rest of the presidential campaign, even to the extent of Netanyahu’s private promise to stop issuing hints of an attack on Iran. He has painted himself in a corner with demands that President Obama issue “red lines” for Iran in order to make it clear to the world and especially to Iran there is a defined limit to Western tolerance of Tehran’s unsupervised nuclear program. The Obama administration has loudly rejected Israel’s demand, asserting that declaring “red lines” or “deadlines” would severely restrict the administration’s freedom to act independently. 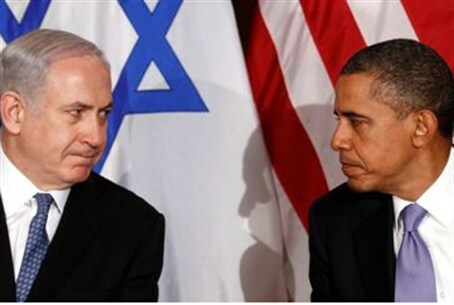 It has not reassured Prime Minister Netanyahu that the United States will not allow Iran to attain nuclear capability. A Netanyahu-Obama meeting also would be a face-saver for President Obama. The president’s refusal to meet Netanyahu during the Prime Minister’s visit to Prime Minister Netanyahu to New York next week was officially ascribed to ”scheduling” problems. It would be the first time ever that an American president has not met with a visiting Israeli Prime Minister. Obama has been facing heavy criticism from pro-Israel Americans and from Republican presidential nominee Mitt Romney, who has fiercely attacked the administration’s foreign policy.